eStudio's Online Business Surveys are powerful tools you can use to gather the information you will need to make better business decisions in a timely manner. Online surveys are a great way to test marketing themes, qualify leads, measure program effectiveness, enhance corporate culture and evaluate stakeholder positions. Discover today the reason why marketers, HR specialists and management in general are choosing eStudio's online web survey software to help them make smarter decisions. Let focused crowd research help you discover the right themes for your brand marketing. Utilize critical data provided by survey responders to improve on brand power and identity. Ask the people who build your products how to make improvements. Foster innovation by analyzing survey results. Identify company strengths and weaknesses from your customers. Pinpoint which products and departments are getting the job done. Your survey results are always private. 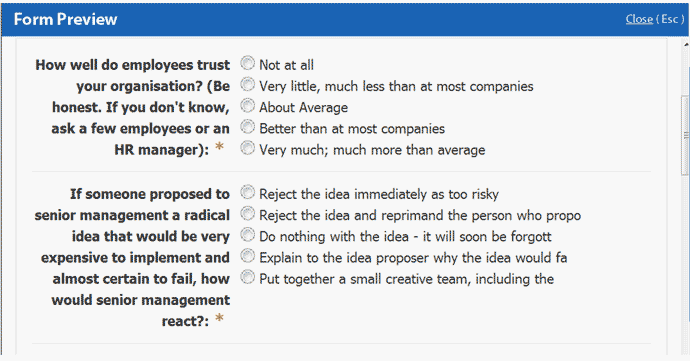 Create employee surveys in minutes using our templates. Easily deploy and collect suggestions from employee feedback for results that will allow you to make smarter decisions. Gain insight into what motivates people working with your business. Develop peer based surveys for workers to complete about each other. Human Resource personnel can use peer employee survey results as a benchmark for performance ratings and identify areas of employee improvement. We bring you web survey software, that makes it easier to create surveys, forms & questionnaires using the web's finest survey tool. The advanced features and functionality of our market research survey software can also be tamed into create organizational forms and surveys for employees. You get access to tons of features and even pre-designed templates from our experts to help you make the most of this powerful tool. 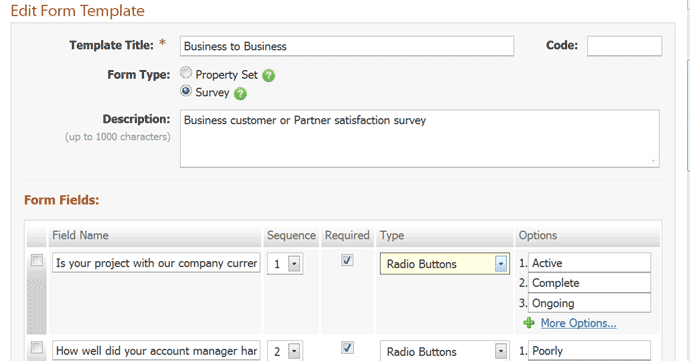 Create surveys online such as customer satisfaction survey and deploy them easily. The software offers you all the tools you need to protect the resulting data and export it as and when you need to. From 1028 bit encryption to end point user access controls we've locked down your data for your users. Attaching surveys to eStudio's Contacts, Calendars, Files, and Tasks functions will help keep only the specified people on the same page. 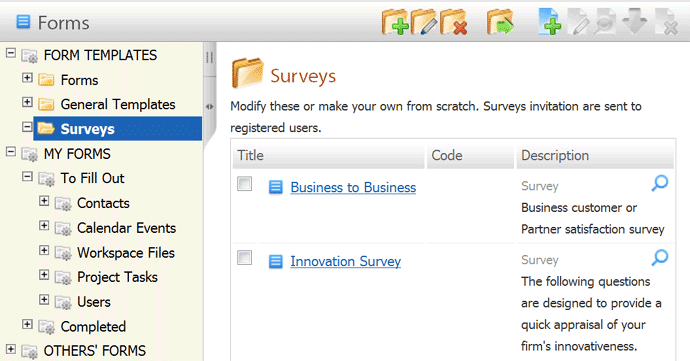 eStudio web surveys are simple to build and simpler to use. 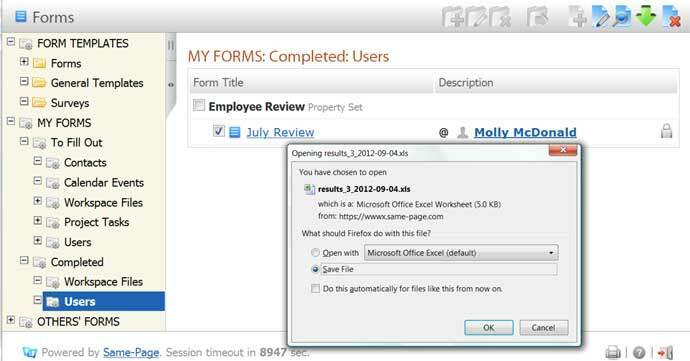 Manage survey results by exporting a .XLS workbook. Schedule a one-on-one tour today so we can show you how effective eStudio can be in transforming your company. See for yourself why companies of all sizes and markets rely on the power of eStudio. Taking eStudio for a spin with a free 30 day trial will convince you that using cloud software for survey building and organizing can make you a better decision maker.